Major themes running through all posts in this blog are 1) We are eating our way down the food chain, substituting fatty,dyed, farmed Atlantic salmon for wild Chinook, the king of salmon; 2) The reason why this is happening is the loss of biodiversity, especially at top trophic levels. Apex predators, and top-trophic level sea animals such as salmon, whales, most tuna species, Canadian cod, as well as most of the great game fish, are all fished out. The new "game fish is the old trash fish (e.g., carp). Humans are driven to seek the best, and consequently, have fished out most of the highest level species. 3) The statistics on consumption of farmed salmon and other animals we see in 2012 dominating our foodscapes are science-based indicators of loss of quality of life for all. Two-thirds of salmon consumption in the years 2000 to 2004 consisted of farmed salmon. 4) As a species, achieving the best is the biological engine that drives those in developed/developing countries. For humans, wanting the best has resulted in fishing out and decimating apex predators in both land and sea environments, 4) Although our baselines for good and best shift over relatively short time-frames of one of two human generations, no one alive can say that farmed salmon tastes better than wild salmon nor that farmed salmon are healthier to eat nor that carp are more thrilling to catch than giant marlin. 5) The sweet life is losing many of the constituents and values compressed in that icon of the-best-life-possible. 6) Advocates of either Terrestrial Reforms or Marine preservation, such as Permaculture, urban agriculture, Marine Protected Areas, No-take zones, often focus narrowly and effectively but do not embody in their advocacy-ethics and programs acknowledgement of the intimate interconnections between what happens on land, in the air, and in the sea. A recent global example: : The media coverage of the Fukushima Daichi meltdown celebrated the diverging of nuclear waste and radioactive trash from land into the ocean. Now an estimated 20 million tons of Fukushima trash is contaminating marine life wherever currents take that trash. As a reminder: an indicator is a compression of relevant but complex phenomena into a simple guide for engaged players as to what to do next. A useful indicator of the good life proposed in previous blogs is biodiversity. If biodiversity decreases, this indicates a loss of quality of life for all creatures at all trophic levels in food webs, but especially at top levels. The best are the smartest-fastest-strongest fish (to impose a human value scheme on fish). And the best at the marine trophic level system taste best to human consumers. Connecting decision-making for high-end wine to loss or gain in marine biodiversity requires new energy to create insights to input into routine decision-making processes that always seek to optimize.. Since this blog seeks to make ecological decision-making easier and more rewarding for consumers, the next few posts will be devoted to making salient the connection between choosing among 95-point pinot noirs and saving the sweet life, which is made-up of such treasures as wild sturgeon caviar and uni, wild salmon and oysters to pair with top quality wine. Previous posts have focused on changes in our food menus resulting from the fishing out of apex predators and premier top trophic level sea animals. The next few posts switch from the marine environment to the terrestrial, with a focus on Central Coast/Santa Barbara wine production. The major premise made for these posts is that given good information on which to base both consumption and production choices, every person will choose to optimize the outcomes of each decision by trading off the various input values, such as time, money, quality, environment, accessibility, etc. We are driven to get the biggest bang for our bucks, but how that bang is conceptualizes may change over time. 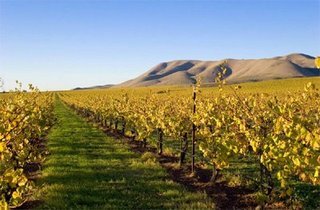 Our area--the Santa Barbara County and the Central Coast--is reputed for the soil, climate, and other environmental conditions that support great pinot noir. Our area attracts great wine-makers and dedicated producers, a population with the means to afford spendy wines and foods as part of their lifestyle.This population of producers and consumers of the best drink can be conceptualized as a U.S. style noblesse, which as we all know, is obligated to do the right thing by the fiefdom. The right thing was beautifully defined by the pioneering ecologist Aldo Leopold: "A thing is right when it tends to preserve the integrity, stability, and beauty of the biotic community. It is wrong when it tends otherwise." Residents of Hawaii watching radioactive trash fro the meltdown of the Fukushima Daichi meltdown wash up on their sandy black beaches realize that the biotic community is the global ecosystem. Noblesse oblige means doing the right thing as a steward of a community. The next few posts flesh out the proposal that online reporting by high-end Central Coast/Santa Barbara wineries that have produced 95 or above point wines as rated by globally respected wine critics can provide a model for saving the good-life. "Noblesse oblige" is generally used to imply that with wealth, power and prestige come responsibilities. The phrase is sometimes used derisively, in the sense of condescending or hypocritical social responsibility. In American English especially, the term is sometimes applied more broadly to suggest a general obligation for the more fortunate to help the less fortunate.